The John Spray Mystery Award, established in 2011, honours excellence in the mystery book genre. The prize is awarded annually with a cash prize of $5,000. To be eligible, the book must be an original work in English, aimed at readers eight to 16 and written by a Canadian. A mystery book can be a thriller, a crime novel or a whodunit. John Spray, President of the Mantis Investigation Agency, is delighted to give the prize, saying that reading mysteries made him a passionate reader at an early age and helped him find his chosen career. Visit Canadian Children's Book Center for more details. Rescued from the gallows in 1850s London, young orphan (and thief) Mary Quinn is surprised to be offered a singular education, instruction in fine manners — and an unusual vocation. Miss Scrimshaw's Academy for Girls is a cover for an all-female investigative unit called The Agency, and at seventeen, Mary is about to put her training to the test. Assuming the guise of a lady's companion, she must infiltrate a rich merchant's home in hopes of tracing his missing cargo ships. But the household is full of dangerous deceptions, and there is no one to trust — or is there? 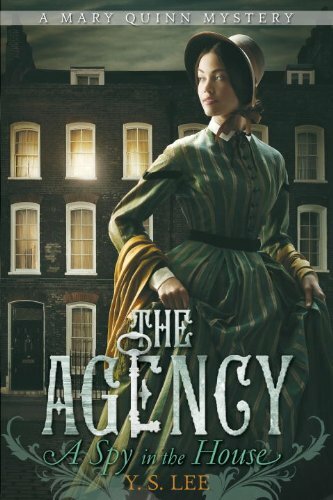 Packed with action and suspense, banter and romance, and evoking the gritty backstreets of Victorian London, this breezy mystery debuts a daring young detective who lives by her wits while uncovering secrets — including those of her own past. When Charlie Sykes wakes up in hospital in St. John's, he learns that he and his father have been in a car accident and that his father is dying. 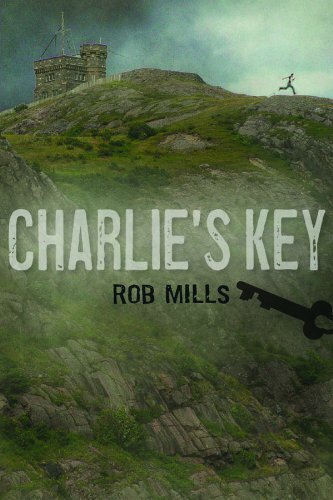 Charlie inherits little more than the brass key that his father pressed into his hand before he passed away. As far as Charlie knows, he has no family in Newfoundland. But then Uncle Nick shows up and is keen to meet his nephew--not because of who Charlie is, but rather because of what Charlie has: the key. That key will unlock a treasure Uncle Nick began searching for more than thirty years earlier. And he would have found it all those years ago if he hadn't been arrested and sent away for murder. But Charlie isn't convinced he should give up the key. He leads Uncle Nick on a wild chase through old St. John's, across Signal Hill and out to the coast. There, high above the rugged Atlantic, Charlie finally comes face-to-face with Uncle Nick, the treasure, and a family history that will leave him with a new understanding of where he comes from and where he's going. Murder, racism, and injustice wreak havoc in a frontier town. The year is 1884, and 15-year-old George Gillies lives in the Washington Territory, near the border with British Columbia. In this newly settled land, white immigrants have an uneasy relationship with the Native Indians. When George and his siblings discover the murdered body of a local white man, suspicion immediately falls on a young Indian named Louie Sam. George and his best friend, Pete, follow a lynch mob north into Canada, where the terrified boy is seized and hung. But even before the deed is done, George begins to have doubts. Louie Sam was a boy, only 14—could he really be a vicious murderer? Were the mob leaders motivated by justice, or were they hiding their own guilt? As George uncovers the truth, tensions in the town begin to rise, and he must face his own part in the tragedy. 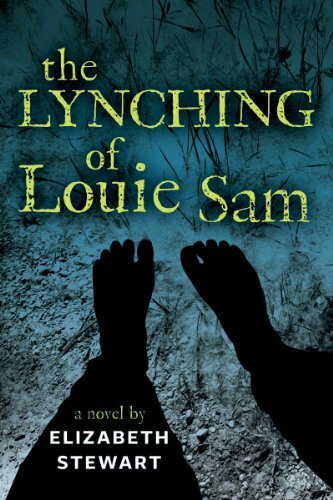 Inspired by the true story of the lynching, recently acknowledged as a historical injustice by Washington State, this powerful novel offers a stark depiction of historical racism and the harshness of settler life.